The phrase "the early bird catches the worm" rings true frequently in various areas of the tech spectrum, and since Apple has begun stepping up the security of its activation servers, it is important to remind you all to backup your unlock activation tickets before it is too late. The weekend is usually a quiet place for technology-related info and significant news, so last weekend’s revelation of the significant, universal iPhone unlock method was certainly an unexpected, welcome treat. Along with the army of iOS users keeping a constant vigil beside the jailbreak news generator, many, many iPhone-wielding consumers are just as keen for updates on how they can unlock their devices for use on many of the world’s various carrier networks. 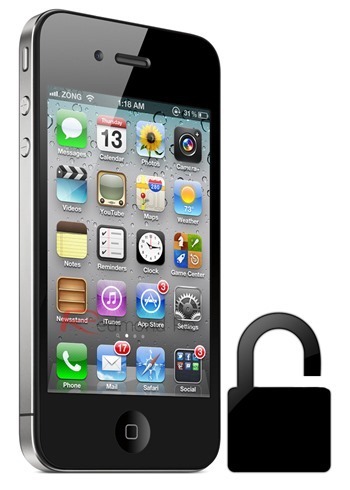 With basebands and firmware versions often proving to be a deciding factor as to whether a device can be unlocked or not, iPhone users were relieved to hear of the joint efforts of Loktar_Sun and Sam Bingner, which allowed any jailbroken iPhone (on any firmware) to be unlocked for free and with apparent ease. Barely a day later, and the omni-present, reliable community pillar that is the iPhone Dev Team released an update to its Redsn0w tool, which offered a feature providing automatic backups of the all important activation ticket – the key to the success of the unlocking process. Version 0.9.10b8 offered a one-click solution for those unwilling to manually backup their activation tickets using the steps detailed in the SAM unlock tutorial, and in defiance of Apple’s lock-and-key ecosystem, it appeared the jailbreak community had out-moved the Cupertino company in what is an oft- fascinating cat and mouse. Indeed, the whole idea of a cat and mouse battle is that, while the nimble, sly mouse can slide away momentarily, the cat will always give chase, and as per a tweet by resident jailbreak guru MuscleNerd, Apple now appears to be fixing its activation servers, meaning those who’ve yet to back up their activation tickets have, must do it now before it’s too late. "The good news", as MuscleNerd continues, "is that previous tickets gotten via SAM trick still work," so those early adopters of the method will certainly reap the benefits of future unlocks. So, what should you do in this case? Unlock your iPhone using SAM, and back up your activation ticket using the latest version of Redsn0w. We can’t emphasize more on the fact that how important it is if you do so, after which unlocking your iPhone will become a thing of the past until a new tool or unlocking technique is released. The site I purchased a whole lot for սոⅼοсking my phones is just google atttiphooneuunlocking. If you don’t desire to be scamed, you are able to use their services.